Note: We no longer recommend Nervestra due to mixed customer reviews and unclear ingredient dosages. Click HERE to visit our alternative recommendation. If you experience nerve pain or neuropathy related symptoms like burning or tingling, finding a solution fast is a high priority so you can return to normal daily function. However, finding that solution isn’t always so straightforward. There are many different companies online offering vitamin supplements that promise to relieve the pain and restore a quality of life, some of which of good, others are decent, and some don't work at all. So what category does Nervestra fit into? 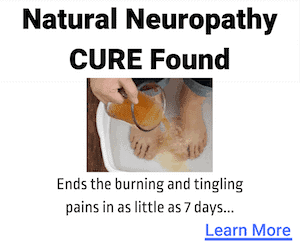 If you've been reader of my blog, you know I am fairly cautious when it comes to recommending supplements for such a complex condition such as neuropathy. So when I encountered Nervestra, a liquid herbal supplement, that promised better pain relief, my hopes were high, but so was my skepticism. Nervestra is an all-natural nerve pain supplement for comprehensive neuropathy relief. Manufactured by Rejuvica Health, the treatment comes in a liquid form and promises to alleviate nerve pain and discomfort while promoting general nerve health throughout the body. The company’s claim is that because their advanced formula is optimized in a liquid format, it better addresses nerve issues. They also offer a full money-back guarantee for those who don’t find success. Their promise, is that the liquid form of the treatment increases the rate and quality of absorption, which supposedly means the ingredients go to work faster and perform better. The combination of ingredients acts as a natural alternative to prescription drugs and provides your body with essential nutrients to promote overall nerve health. The ingredients target the peripheral nervous system and nerves specifically, allowing your nervous system to behave normally and stay pain-free. They claim their formula better utilizes ingredients to address blood flow and discomfort. They also claim that their ingredients are more potent than other forms of treatment, meaning that they attack the symptoms more aggressively. B Vitamins: As a whole, B vitamins have notoriously been effective supplements for nerve health and some of the primary ingredients are B vitamins, including B1, B6, and B12. B vitamins help the central nervous system on a cellular level and maintain CNS components such as myelin. 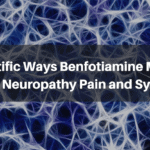 Vitamin B deficiencies have been known to lead to nerve damage. It attempts to increase blood flow and nervous system connections as well as utilize the natural calming effects of Vitamin B.
Folic Acid: In close relation to B vitamins, folic acid plays an essential role in CNS health and it is another primary ingredient in the formula. Frequently, folic acid is used in many treatments for various neuropathic conditions. 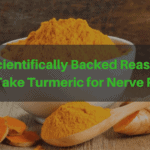 Turmeric: Nervestra also contains turmeric, which not only acts as an anti-inflammatory but also an agent for blood circulation in and around the CNS. Passionflower: The passionflower is a plant that has been used for its calming characteristics. When it calms the CNS and soothing the nerves, the pain is less likely to thrive. It also contains additional herbs and several omega fatty acids that promote healthy nerves and are an all-natural solution to discomfort. Nervestra claims that the liquid form increases the overall performance of the supplement, not to mention that a liquid is easier to consume than a pill. Users are supposed to see an intense reduction in pain due to the combination of ingredients and Nervestra’s claim is that their formula is the most advanced and up to date. With this information, one could assume that he or she is receiving the best treatment option available. Another benefit it provides is the ability to order online without a prescription. The formula has yet to produce any known side effects, which is due to the fact that all ingredients are natural and only used for the beneficial properties. Perhaps under certain conditions, one may experience side effects but there are currently no official side effects. What Are People Saying About Nervestra? All-natural products like this seem to vary from person to person and reviews are fairly average, perhaps even slightly above or below depending on where you look. For example, with a 3.7 out of five stars on Amazon, you will find reviews on both ends of the spectrum. Due to the strictly online availability of these products, you may see some customers complain or question the legitimacy of the company Rejuvica. Another customer reported on April 20, 2017 that it didn't make any difference in their pain. 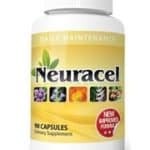 This is common for all neuropathy supplements because everyone's body responds different. The real concern to be aware of is that the amount of Tumeric is not listed, so you don't know how much you are actually taking. A lady from California had a very harsh review claiming it is a rip off. She may have been frustrated that it didn't work for her and lashed out, but it's still a concern. Additionally, many customers report feeling little to no relief and some even go so far as to say that it made their problems worse. Whether this is a result of a faulty product or an additional but undisclosed condition on the patient’s end, users may never know. Those who see no results will also take issue with the price as well as the taste of the product. In her review, she also mentions that her nerve damage of three years had prevented her from performing her daily activities such as brushing her teeth and doing her yoga classes but the supplement allowed her to get back into a normal routine, pain-free. People often note that when they stop taking it on a daily basis, the pain returns full force. While this person did find success, she did suggest that it may take a few weeks before results are truly noticeable. Reviews for Nervestra appear to be either positive or negative, where a middle ground often isn’t very prevalent. Nervestra still claims that there are no known side effects so the root of this person’s issues is essentially unknown. However, as far as reports of additional discomfort after taking the product go, this person isn’t alone. Other reviews point to similar or completely different results. While negative experiences are unfortunate and even frustrating, the company does offer a money-back guarantee. If you visit the product page, you will see they offer a 60-day money back guarantee, meaning that if you are dissatisfied with their product, you may request a refund by returning the product to them within 60 days. Whether you saw no results or didn’t even use the product in the first place, you may return the bottle. While this is a full refund, Nervestra does not cover the shipping costs incurred when returning your bottle. Whether you have success with the product or not, there are positive characteristics of this Rejuvica product. An all-natural formula would presumably be a healthier and safer treatment option. It may potentially decrease or completely relieve nerve pain. The liquid formula absorbs more quickly, performs better, and is easier to ingest. Product guarantee makes purchasing an essentially risk-free decision. Ingredients are actually known for improving nerve function and reducing pain. Online availability is more convenient. Very few products have 100% positive feedback. Naturally, there are a few negative aspects that surround this product. There is something to be said about customer skepticism. The product is quite expensive compared to others. Negative experiences may result in increased pain. The taste is unbearable for some, and mildly annoying for others. Some users complained the product upset their stomach. Nervestra comes in a four-ounce bottle that typically includes about 48 doses. You can purchase this product on the website but there are also third-party options. The price for one bottle hangs somewhere in between $40 and $50. When you purchase from their site, you will have the option to purchase a single bottle or a full 72-day supply, which is a three-bottle purchase. Amazon.com has similar package deals but you can set up a recurring order where a bottle will automatically be shipped to you at a frequency of your choice. It can also be purchased from Walmart.com, Ebay.com, or from the manufacturer’s site at Rejuvica.com. My Final Opinion: Should You Try It? 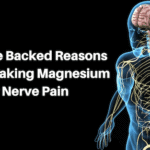 As many of my readers know, I am totally unbiased and very skeptical when it comes to nerve pain supplements. I only recommend what works. Although it does contain some useful ingredients and seems to provide results for some, the taste is unpleasant, and there are many mixed reviews and complaints. Lastly, the dosages for certain ingredients aren't listed, so you don't know how much you're getting. For these reasons, I give Nervestra a C+ and do not recommend it. The #1 reason I recommend it instead is because Nervestra only has a 60 day money back guarantee, which may not be enough time to see if you're getting the results you expect from the product. On the other hand, Nerve Renew offers a 365 day money back guarantee, which is plenty of time to see if works for you without the risk of losing your money.